5D is now on Patreon - 5D. 5D is now on Patreon – Become a 5D patron! You may or may not be aware that Patreon is an Internet-based platform that allows content creators to build their own subscription content service. The service allows artists to receive funding directly from their fans, or Patrons, on a recurring basis or per work of art. These content creators set up a page on the website, where patrons can choose to pay a fixed amount to a creator on a monthly basis. Alternatively, content creators can configure their page so that patrons pay every time the artist releases a new piece of art. A creator typically displays a goal that the ongoing revenue will go towards and can set a maximum limit of how much they receive per month. Patrons can cancel their payment at any time. Similar to other platforms, content creators typically provide benefits (commonly in the form of art and videos) and for their patrons depending on the amount that each patron pays. Well that’s the official spiel. Let’s get this out of the way, I’m not an artist, or a critic, or even someone who should be taken too seriously. What I am is someone who has had a blast of a time over the last few years blogging about my sci-fi, fantasy and horror passions, in the process meeting a whole host of fascinating individuals. So 5D has decided to tip it’s own geeky toe in the world of Patreon. If you decide to become a 5D patron then there are a who host of geeky perks available to backers – many of which simply will not be available on our website of blog. If you feel that you would like to become a 5D patron then feel free to check out our Patreon page RIGHT HERE. Who & what is 5D? 5D started as a simple little blog back in 2012. It began as some half-hearted musings of the often maligned genres of science fiction, fantasy and horror, all of which have formed the bedrock of my film & literature obsession. In all truth at the start writing the blog was something simply to pass the time and enable me to force my self-indulgent musings upon the world, whilst all the time trying not to take myself too seriously. However, something strange began to happen as people began to read my scribblings and soon I was being contacted from individuals around the world. I was astounded to learn that rather than requests of restraining orders, people not only liked my self-deprecating approach but also some even wanted to send me their work to promote & review on my blog. This began a love-affair with the incredible range of independent and low budget productions from all around the world, particularly in science fiction and horror. 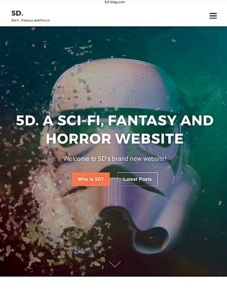 The experience has now morphed into something else entirely, with a rather nifty website www.5d-blog.com which full of news, reviews, interviews, competitions and dealing with many creative individuals of both mainstream and independent productions. 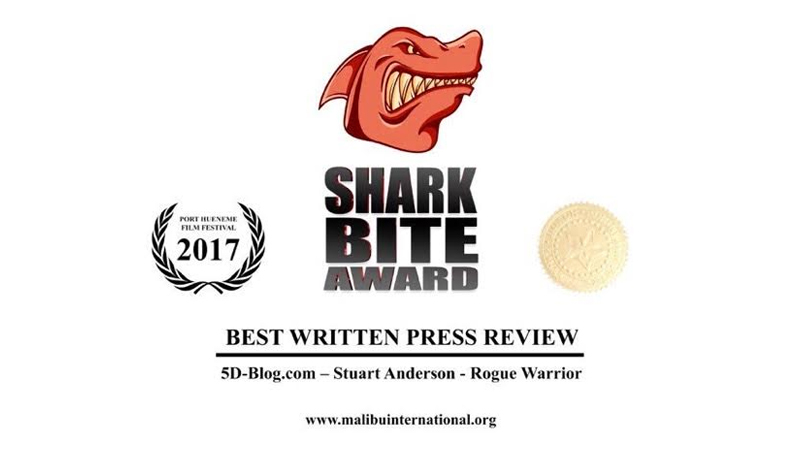 In addition these contacts around the globe will hopefully provide us with a plentiful pool of interesting talent to showcase and share website time with and hopefully add additions, including a rather nifty Sci-Fi, fantasy & horror Podcast. We believe we have great content to include in the website , but we also want to make it the best quality that we possibly can. 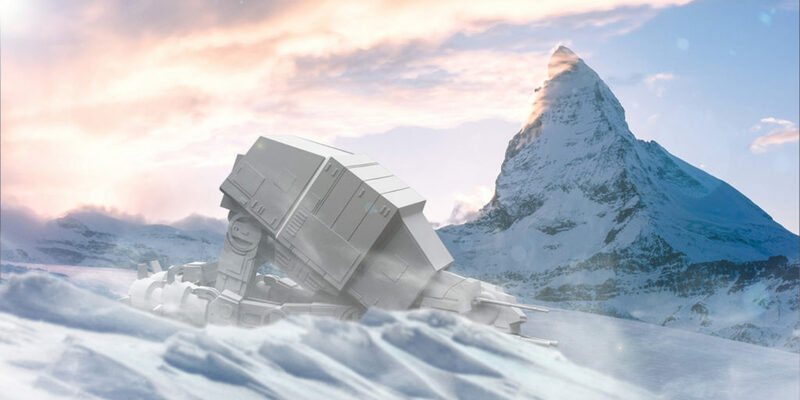 The majority of the money contributed will go towards the very best Competition prizes and the planned 5D website shop which will feature original creations such as t-shirts, posters and a wide range of geeky goodies. There is also a 5D Podcast planned. We believe we have great content to include in the podcast, but we also want to make it the best technical quality that we possibly can. A good amount of the money contributed will go towards the very best audio and video equipment that is available to us. If you become a patron, you’ll get to experience first some exclusive interviews, blog entries, roundups, and longer versions of some articles – and you’ll also be part of a select community of subscribers. Patrons can send me ideas or suggestions, such as films, comics, books and events to promote.